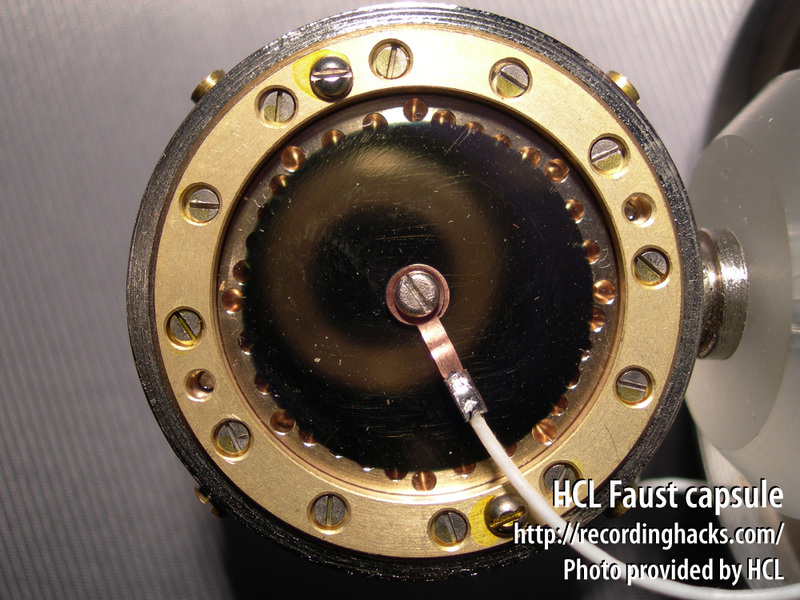 The Faust F2 is a multipattern tube microphone, based on the fixed-cardioid HCL Faust. The only differences between the Faust and F2 are the capsule and power supply, plus circuitry to support the multipattern capsule. 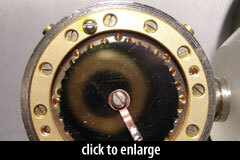 Both mics use a large-diaphragm, dual-backplate capsule with a backplate drilling pattern derived from Neumann’s K67. The Faust uses a single-diaphragm capsule (although the rear of the capsule probably has a dummy membrane on it), whereas the F2 uses a dual-diaphragm version of the capsule. In all cases, the capsule uses gold-sputtered, center-terminated, 7-micron Mylar diaphragms measuring 26mm in diameter. Outside capsule diameter is 34mm. The amplifier circuit uses a 6S3P triode tube, hand-selected for low noise and linear frequency response. The circuit uses discrete components, and is populated by hand in the HCL facility. The basic circuit design is based on the amplifier in the Neumann U-47. HCL mics, as the brand name implies, are built by hand. Nearly every component of the F2 is made by HCL, including the microphone body, capsule, and circuitry. The output transformer is supplied by Cinemag. The Faust F2 ships with a tube power supply and cable, an elastic shockmount, and a padded metal flightcase. The Hand Crafted Laboratories Faust F2 is also known as: F2.